is checked. 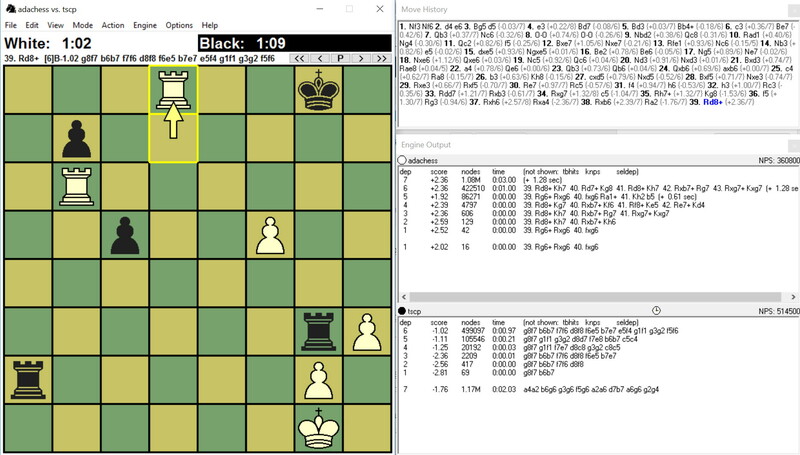 Thus, you just installed AdaChess and everything is ready to play against AdaChess by using Winboard! 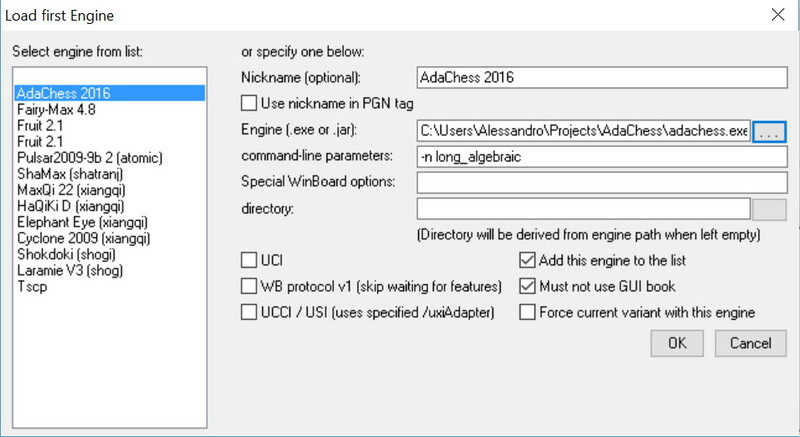 Before you start doing anything you must get the AdaChess engine and the Winboard GUI. The engine is downloadable from this site in the download page. You will obtain a zip file with the engine and full source. Unpack it in the directory you wish. If you really want to edit the engine list (e.g. for adding something you forgot, changing the order, or organize the engines in collapsible groups when shown in the listbox), you can easily do it through the Engine->Edit Engine List menu item. Still no reason todoany of the stuff described here. Thanks Muller for your comments. I will update this post soon with the procedure you gave me.